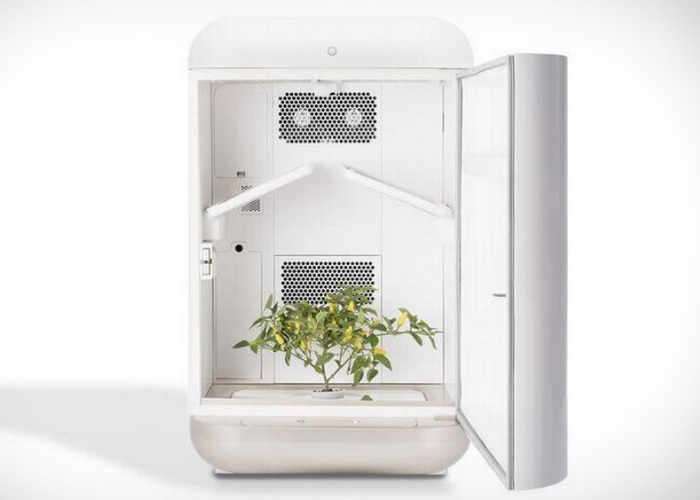 A new hydroponic growing systems has been created by Seedo which combines everything you need to grow herbs at home for cooking or recreational purposes. The Seedo Hydroponic Growing System is still currently under development but is available to preorder with prices starting from $1200 and shipping expected to take place during 2018. The design of the hydroponic growing system incorporates automated air-conditioning to help keep the humidity and temperature just right together with a carbon filter and cartridges that release CO2 during photosynthesis. This design is also integrated an internal HD camera which can be viewed using the companion application. – Self-sufficient device with no prior knowledge or experience needed. Think of Seedo as the first driverless car for hydroponic growing. – Designed to simulate your specific plant’s ideal natural conditions, Seedo delivers precision agriculture for bragworthy yields. – Seedo is totally hermetic featuring built-in CO2 cartridges and A/C. No more pests, pesticides and smell leakages. – Patent pending lighting system self-adjusts according to your plant’s growth stage for maximum yield using minimal space. For more information on the new Seedo Hydroponic Growing System jump over to the official website for details by following the link below.